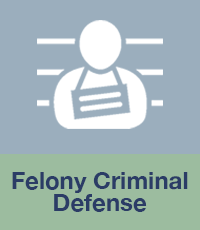 If you are prosecuted for a felony criminal offense, you may be at serious risk of serving significant jail time. If you have been charged, arrested, or even threatened with prosecution for a felony criminal offense, it is critical that you get immediate help from an experienced Louisiana criminal defense lawyer at Mansfield Melancon. Do not speak with anyone, especially the police or investigators, until you have retained a lawyer to aggressively represent you. Often times the best strategy to defeat criminal charges requires legal representation during the criminal investigation before charges are even filed. Do not delay in contacting the lawyers at Mansfield Melancon - your liberty might depend on it. Punishment ranges. Felony offenses carry significant consequences. In Louisiana, a felony offense is one that is punishable by a jail sentence of one year or more. Depending on the specific crime, however, you may be facing additional fines and penalties, including restitution to the victim. Some crimes are punishable by life imprisonment or even the death penalty. Depending on the nature of the crime and certain aggravating factors, one mistake can have life-altering consequences. It is important to have the right lawyer on your side when facing these or any other felony charges in Louisiana. Choosing the right lawyer. Whether you’ve been charged with theft, distribution of drugs, or murder, choosing the right lawyer for your felony charges is critical. At Mansfield Melancon, you will find talented and hard-working lawyers dedicated to the defense of people charged with all types of felony criminal offenses in the Greater Baton Rouge and New Orleans areas, and throughout Louisiana. We are prepared to respond to your case immediately, and we will get to work interviewing potential witnesses, speaking with experts, and combing through all of the evidence from day one. Although no lawyer can guarantee any particular outcome with your charges, we will work tirelessly to see that your charges are dismissed or reduced if at all possible. If you are in need of reliable legal advice on how to proceed after a felony arrest or investigation, contact Mansfield Melancon immediately to make sure your rights and interests are being protected. It is important that your constitutional rights are protected. It is equally important to have a team of skilled lawyers who will provide the personalized attention your case requires and deserves. You can reach us at our New Orleans number at 504-500-1108, Baton Rouge number at 225-612-0800, Lafayette number at 337-409-0003, or you can contact us online. You can also send us an email with questions about your claim at info@mansfieldmelancon.com.